Ash-blond, sharp-looking young man. Acting in secret via his pseudonym "Lt. Laurence" he was a constant obstacle to Estelle and co. 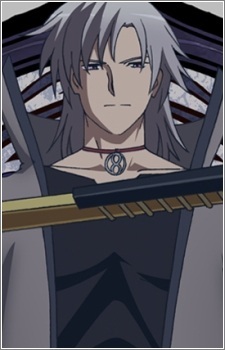 He is part of the mysterious organization "Ouroborous", and has been crowned with the title "Emperor of the Sword" via his daunting sword skills and battle prowess. In the endless depths of his deep purple eyes sometimes shows a feeling not wanting strangers to get close to him.